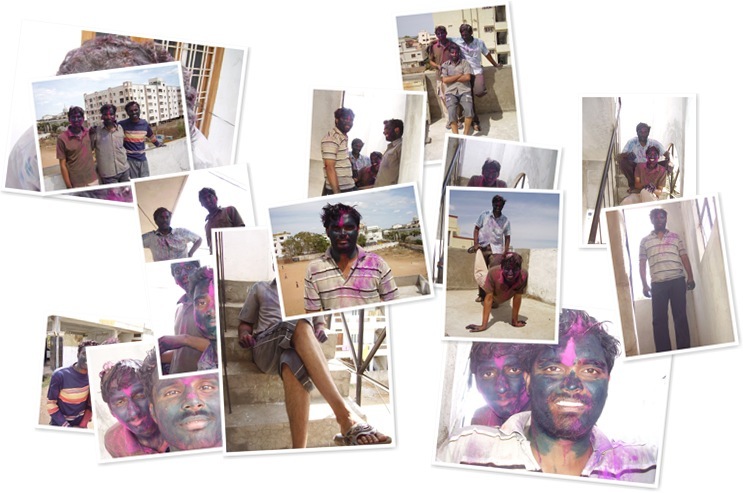 Holi – a day of smearing colors celebrated with family friends to dirt of the evil in onself and bring in the sanity. Its good to be with friends and have fun all through the day. But we missed the holi fire early in the morning which indicates the destruction of all the filth and impurity. Wish it won’t repeat the next time. Once again I wish you all a Happy Holi and colorful days ahead in your life…. This entry was posted in Uncategorized and tagged friends, status quo on March 11, 2009 by Sai Satish Kandukuri.